• U23 racing in Carpathian Mountains remembers young couriers who operated in the region during the Second World War. Four days of racing, three days in Poland and a showdown on the banks of Balaton Lake in Hungary. The 8th edition of Carpathian Couriers Race runs from April 29th till May 2nd and offers opportunities to sprinters, classics specialists and climbers. 2017 edition will be one day shorter than in previous years and will only tackle roads of Poland and Hungary. The race kicks off from Tarnów with a short prologue, which is expected to create first gaps and incentives to attacks. Going flat out on a 3 km route will start the engines ahead of three days of racing in undulating terrain of Lesser Poland and Bakony Hills region in north-western Hungary. Stage 1 commences in Nowy Sącz and offers 157 kilometres of intense racing over the hills of Lesser Poland. With 11 climbs in first 120 kilometres, the bunch is set to break to pieces as climbers and classics specialists will fight at three intermediate sprints and two categorized ascents – Siekierczyna (5 km, 3%) and Krasne Lasocice (5 km, 3%). The climbs range from 2 to 7 kilometres and, while the gradient may not hit the double digits over longer sections, the overall intensity of the day will ensure a nail-biting finish into Oświęcim. The final 30 kilometres are relatively flat and hence offer the chance of regrouping and catching up with the attackers. While the profile of stage 1 is the quintessence of Carpathian racing, stage two resembles a traditional mountain stage often seen in world’s biggest stage races. With just 106 kilometres riders pass two categorized climbs – Łękawica (900 m, 7%) and Grzechynia (5.3 km, 5%) – before arriving to the bottom of Krowiarka Pass. 14,5 kilometres of steady climb averages only 3.5%, yet final the gradient goes up to 6% on the final four kilometres, with much steeper sections on the way. Its summit, situated at 1014 meters, is races highest point and longest climb in recent history. The climbers’ job is not done atop the pass, however. The finish line is located in Jabłonka, 18 kilometres from the summit, so a frantic chase downhill is to be expected. On the penultimate day the peloton makes a transfer to Vészprem, Hungary for the final act of the race. Set in Bakony Hills region, by the banks of Balaton Lake, Vészprem hosts the race for the third time in the row. The final stage, 137 km journey through undulating terrains of north-western Hungary, leads to Pápa, where a bunch sprint is expected to conclude the race. The colourful peloton gathered in Tarnów will consist of 31 teams from 17 different countries. 8 national teams from Eastern and Central Europe will line up against 23 club teams or continental squads from Poland, Germany, the Netherlands, Italy, Hungary, Spain, the United Kingdom, as well as Belgium, Austria and Slovenia. 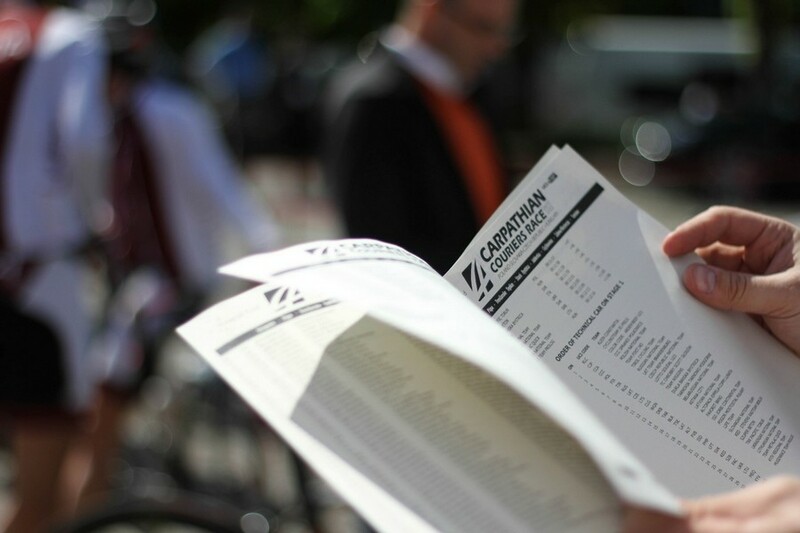 In total, 186 riders are expected to sign the start list. The race once again hopes to bring together espoirs from all over Europe and give them a chance to test themselves against more experienced peers in the stunning scenery of Carpathian Mountains. The idea behind the event goes beyond simply building a competition framework – it hopes to embed it within the broader context of region’s rich history and cultural heritage. Today, the race is an annual tribute to so called “couriers” – mostly young men and women – who, during Second World War, risked their lives in the service of Polish resistance movement, acting as couriers and pathfinders. During blizzards of war their knowledge of mountain passes was of pivotal importance for the transport of people and intelligence from occupied Poland, through Hungary, Yugoslavia, to the Polish Government in Exile and allied governments of France and the United Kingdom. The race route follows their trails, commemorating their courage, selfless commitment and the part they played in the war against Nazi Germany. 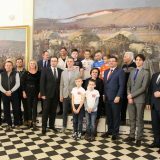 It celebrates regional cooperation, cycling traditions of the region, and provides a platform for young people to demonstrate their strength and spirit in a friendly ambiance of bike racing. The overall winner and riders proving their value on Carpathian roads have a good chance of joining the list of successful young riders, such as Rafał Majka, Maurits Lammertink, Gregor Mühlberger, Dries van Gestel, Tim Ariesen, who went on to join professional teams and continue racing across Europe for different WorldTour and ProContinental squads.